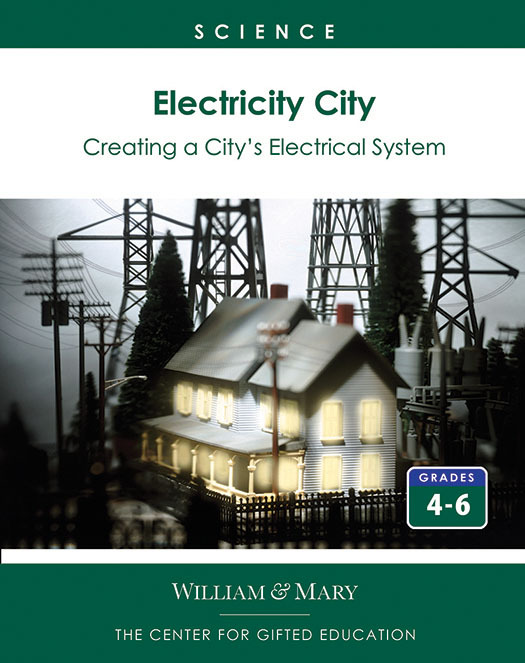 The award-winning Electricity City unit provides a creative and interdisciplinary approach to introducing fifth- and sixth-grade students to electricity. In this simulated activity, a large recreational complex is being built in the middle of a city, and the students' role is to plan the site's electrical needs, as well as create additional back-up plans. This real-world problem requires students to analyze the situation, determine what type of research is needed, conduct experiments, and evaluate solutions--all experiences they'll need later in life to become effective problem solvers.